Kushal Pal Singh or K.P. 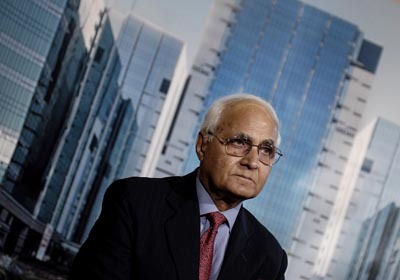 Singh was born in Bulandshahar in a Jat family(Tewathia Gotra) Jat family on 15 August 1931 is real estate mogul and the chairman and CEO of DLF Limited, India's largest real estate developer. DLF has now become the world's largest real estate company in terms of revenues, earnings, market capitalisation and developable area. He is graduate in science from Meerut College, Mr. K.P. Singh pursued Aeronautical Engineering in UK, being subsequently selected to the Indian Army by British Officers Services Selection Board, UK. He was commissioned into the renowned cavalry regiment of ‘The Deccan Horse’ of the Indian Army. KP Singh made Gurgaon a world-famous outsourcing destination within 10 years, because of his world-class earthquake-proof office buildings, apartments, shopping malls and leisure facilities (including the DLF Gary Player designed Golf Course).